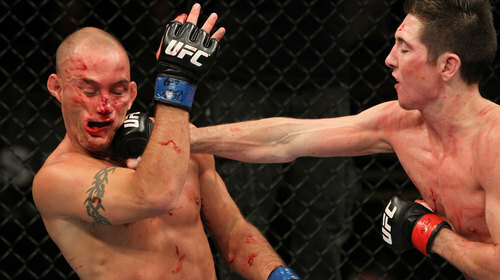 The Ultimate Fighter: Team Bisping vs. 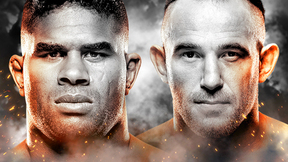 Team Miller Finale had a wild evening of fights in store as season winners were crowned at featherweight and bantamweight, and a contentious coaches’ clash between Michael Bisping and Jason “Mayhem” Miller. 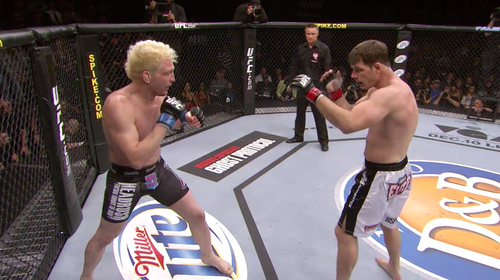 Michael Bisping vs. Jason Miller TUF 14 Finale Sat, Dec 3, 2011 (30:45) After a full season of trading verbal barbs & dirty looks, the coaches would finally clash in the cage as TUF 3 winner Michael “The Count” Bisping, making his 15th Octagon bout, rumbled with the highly-experienced submission ace Jason “Mayhem” Miller. 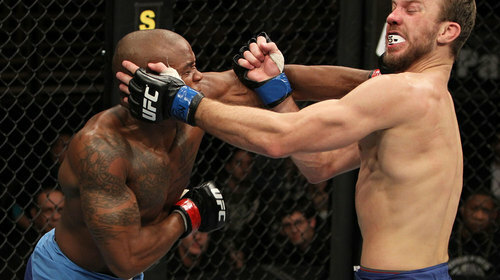 Diego Brandao vs Dennis Bermudez TUF 14 Finale Sat, Dec 3, 2011 (14:30) Agile, mobile, & hostile! 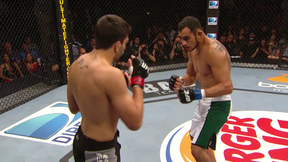 The featherweight final was non-stop exciting from beginning to end as Team Miller’s Dennis “The Menace” Bermudez was shot out of a cannon at Team Bisping’s Diego Brandao who was launched from a catapult at the same time. John Dodson vs. TJ Dillashaw TUF 14 Finale Sat, Dec 3, 2011 (10:39) The bantamweight final saw the two odds on tournament favorites collide as Team Miller’s John “The Magician” Dodson, with his incredible knockout power, took on Team Bisping’s TJ Dillashaw, who possessed dynamic striking & submission skills. 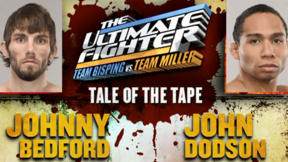 Louis Gaudinot vs Johnny Bedford TUF 14 Finale Sat, Dec 3, 2011 (19:39) These two just come forward and attack as Team Miller’s “Brutal” Johnny Bedford who outside of the show was a 17-9-1 pro with 13 wins by stoppage took on Team Bisping’s Louis “Goodnight” Gaudinot who was a 5-1 pro on a 4 fight win streak. 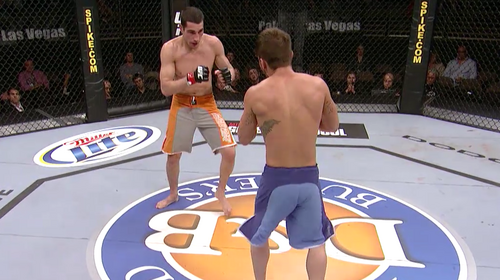 Marcus Brimage vs Stephen Bass TUF 14 Finale Sat, Dec 3, 2011 (25:35) Stephan Bass could be seen as a submission specialist with his five tap out victories before entering the TUF 14 house, but he is also a former Golden Gloves champion. 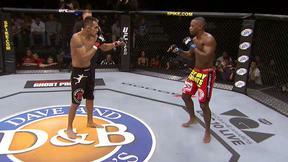 That could make for an interesting clash with striking specialist Marcus Brimage. Dustin Pague vs. John Albert TUF 14 Finale Sat, Dec 3, 2011 (8:26) After discovering the UFC on DVD, Dustin Pague found his true calling, and six months later, he had his first amateur MMA fight. John Albert came to the sport by accident as well.Now Albert battles fellow TUF 14 castmate Pague. Roland Delorme vs. Josh Ferguson TUF 14 Finale Sat, Dec 3, 2011 (19:35) It was a fist-chucking fight between submission finishers as Team Miller’s “Stunning” Roland Delorme with his 6-1 record with all wins by stoppage entered the cage against Team Bisping’s Josh “Taz” Ferguson with his 8-3 record and all by sub. 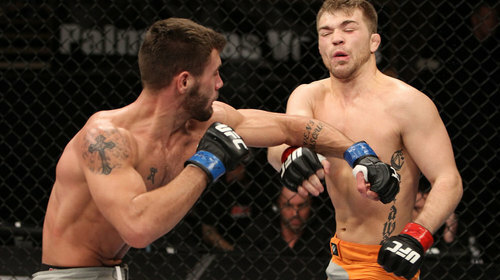 Brian Caraway vs. Dustin Neace TUF 14 Finale Sat, Dec 3, 2011 (16:49) At just 25 years old, Dustin Neace had the resume of a seasoned vet, with over 40 fights under his belt so far. 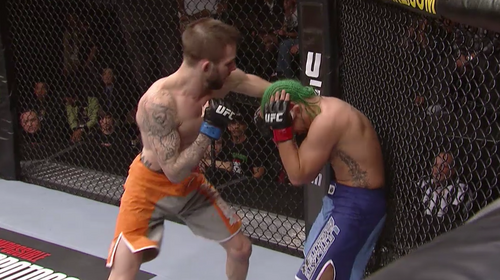 In Bryan Caraway, Neace was matched up with a similarly experienced foe, one who fought twice in the WEC in the time leading up to his stint on TUF.